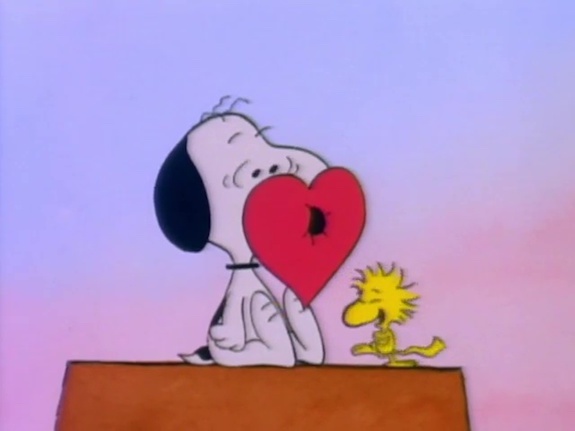 Be My Valentine, Charlie Brown was the feel bad holiday hit of 1975. It endures to this day, not as some fondly recalled seasonal special, but precisely because of it uncompromising examination of loneliness and disappointment through the lens of the one day of the year set aside to amplify all the insecurities so many people have. And also because us popular cool kids can never get enough of that blockhead Charlie Brown bringing a frigging briefcase to school for all the valentines he thinks he’s going to get! Any small amount of sympathy you might have for him for not receiving any valentines evaporates when at the end of the episode, after his classmates give him a used pity valentine to assuage their mild guilt at spurning him, he declares that he might need three briefcases for all his valentines next year! Damn Chuck, even Linus who was pathetically chasing his teacher in the parking lot with the giant box of chocolates he blew all his money on while she drove off with her boyfriend thinks you’re delusional! 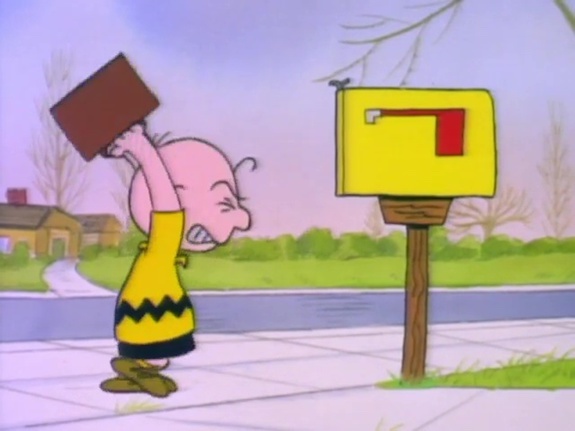 While Linus spends the story admirably reaching for the stars, for Charlie Brown the road to Valentine’s Day disaster is paved with incidents that constantly serve as giant flashing warning signs of his utter loserdom. First of all, there’s his role in his dog’s Valentine’s Day themed puppet show. Sure, his job as narrator isn’t exactly the starring role you would hope, but even worse is that you are participating in a puppet show! Put on by a dog! 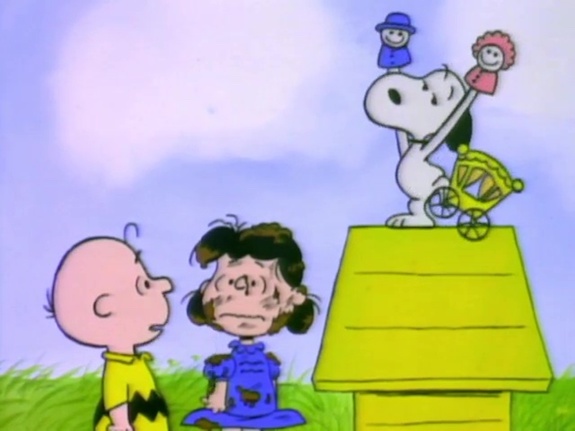 Best case scenario is that Snoopy is just an alter ego of Charlie Brown he assumes to feel more confident and do things his blockhead persona could never do and that Snoopy doesn’t really exist. Worse case scenario is that he really is indulging his dog’s crazed obsession with strange Punch and Judy-style public performances. Either way, doesn’t it all end up a few years later with SWAT responding to Chuck’s high school and everyone sheltering in place? Having been made before it became fashionable to demonize those of us who are naturally popular and to force affirmative action for losers on us, the valentine event at school is delightfully old school. Any valentines you got had to be earned because your peers thought you were awesome just like when George Washington gave the first valentine to Martha instead of King George III and not because some government bureaucrat said that smelly poor kid who is always picking his nose had a constitutional right to one. Much like mail call back during WW II, one of the kids would pick a valentine out of the box and call the name of its recipient. If your name didn’t get called and you got skunked on valentines, well better luck next year and use the intervening time to stop being such a douchebag that no one likes you! Be My Valentine, Charlie Brown isn’t just one of the great Charlie Brown specials, but one of the great pieces of art that sheds light on what being human truly is. Raw and unflinching at every juncture showing the casual cruelty we routinely visit on each other, sometimes out of spite but mostly out of self-centered disinterest, it eschews every opportunity to redeem any of the characters or give them hope. Linus name checks Elizabeth Barrett Browning and dramatically throws his expensive chocolates off a bridge. But not only does no one care, Snoopy and Woodstock are shown catching and eating the chocolates, literally feasting on his misery. Chuck finally lets his rage get the best of him, beating up his mailbox but only gets a hurt foot as a result. The optimism he finds at the end of the episode about maybe next year being better is so absurdly overblown and unsupported by any empirical evidence as to be laughable. In fact the universe is such a miserable place that there isn’t even time to address both Lucy and Sally’s lovelorn situations in any meaningful way. The only one who escapes unscathed and happy is a hyper intelligent canine, who more likely than not is a figment of the damaged main character’s imagination. 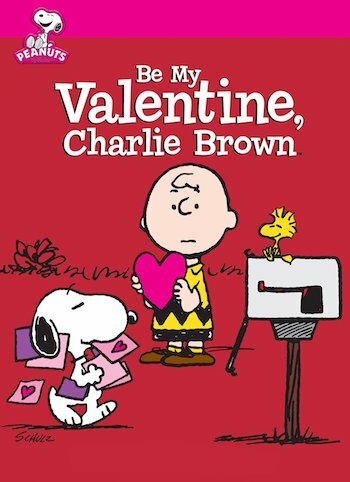 Be My Valentine, Charlie Brown is a broken-hearted shaped box full of uncomfortable sugar-free truths, however in today’s mollycoddled society many progressive parents would probably regard it as one long trigger, needing a panel discussion to put it in “context” if not outright shunned.